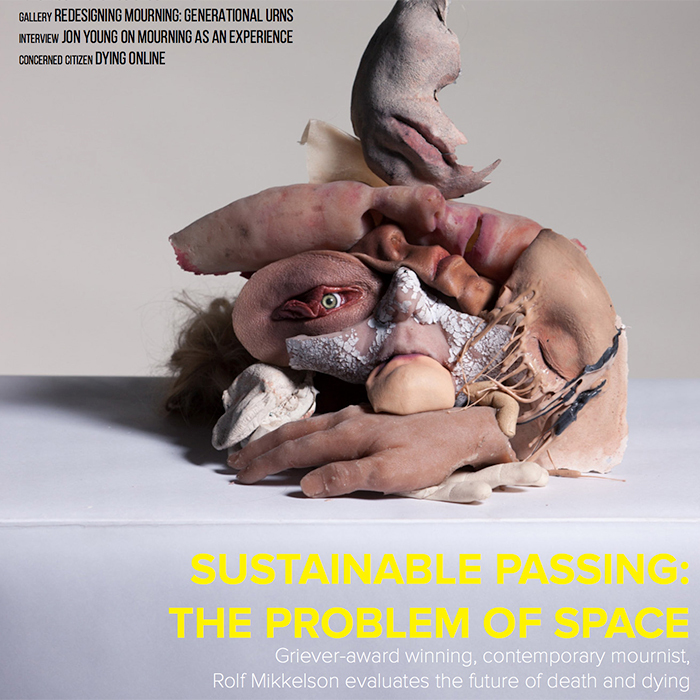 The reality that I’ve designed around faces the problem of processing the dead sustainably. It mirrors the trajectory of two fields today: food and cars. As sustainability inches towards the forefront of our minds, the market has accommodated. For food, eating sustainably is something only the rich can afford to do, birthing a niche community that convenes weekly at Whole Foods. For cars, we’re in an ironic limbo in which we try to drive sustainably, in eco-friendly cars, but in doing so, produce more and more products to appeal to the new market. My projected future of death manifests in this high brow magazine for the future elite to plan their own funeral in a modern/sustainable way, while the poor are all shipped to the Bayer-Monsanto graveyard. In the future, dying becomes a claim to individuality or a exposition of values.